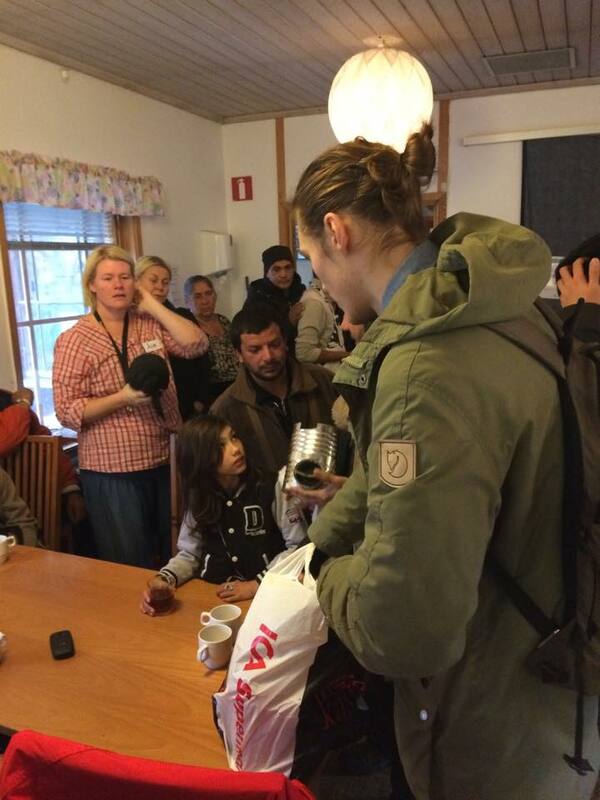 Today we went to Mikaelsgården to give our rocket stoves to homeless people who were there. The device was met with a great interest, even though one could see that they were a little confused. We explained who one should use it both to them and to the center's staff who will make sure that those families that really need the stove will get one. Now, we hope that it will be useful for them. We will try to make a follow up later on in November. This entry was posted in Loki´s Stove and tagged energy, homeless, rocket stove, sustainability, upcycling, waste. Bookmark the permalink.